Dewan Housing cracks 60%, pulls down others: Why are NBFC stocks plummeting? What brought on the heavy selling in the stocks of non-banking finance companies (NBFCs)? Blame it on tightness in the money market and investor concerns over rising cost of borrowing for the companies amid continuing financial crisis at IL&FS. The BSE Sensex plummeted over 1,100 points within a matter of minutes in the afternoon session on major selloff in the housing finance space today, although it quickly recovered nearly 900 points. The stock of Dewan Housing Finance Corporation (DHFL) fell 59.67% or 364 points to a new low of 246.25 while Indiabulls Housing Finance dived nearly 30%. "There is pressure on short-term money both in the short-term and longer-term debt flows," Sanjiv Bhasin, Executive VP-Markets & Corporate Affairs, India Infoline told ETMarkets.com. "The lack of clarity about IL&FS exposure is leading to the knee-jerk reaction. There is no clarity on government's bailout for the company so far. However, the fear will subside after the government steps in. Once there is stability in the money market, things will be as usual." DHFL's slump, which wiped out over 50% of its market cap, also dragged down other stocks. In fact, the entire NBFC space practically is awashed in red. For instance, Bajaj Housing Finance fell 19.96%, followed by Reliance Home Finance (18.30%), Gruh Finance (17.66%), VLS Finance (16.73%), Reliance Capital (14.55%), PNB Housing Finance (9.23%), IDFC (13.23%), Bajaj Finserv (14.42%), Shriram Transport Finance (14.99%), and LIC Housing Finance (14.84%). "The cost of borrowing for NBFCs is going to shoot up and they may face challenge in raising money in the light of recent news on IL&FS. However, this knee-jerk reaction is baffling," Hitesh Agrawal, EVP & head, retail research, at Religare Securities told the portal. Some industry insiders also deny liquidity concerns and attribute the rising cost of funds to the bond market price. R Varadarajan, MD, Repco Home Finance, for one, believes that most of the NBFCs are "capable to take it and pass it on to the customers" without much impact on the quality of the assets or growth. Of course, a few companies managed to escape the bloodbath. 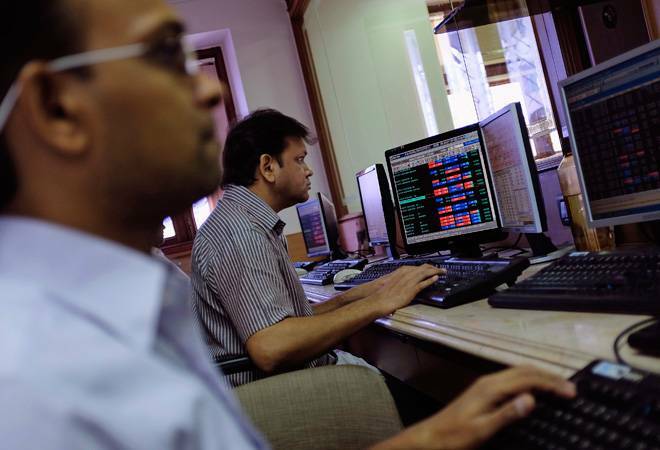 Stocks trading in the green at the time included India Cements Capital (up 11.28%), Mukesh Babu Financial Services (up 9.78%), Meenakshi Entp (up 6.97%), AIIL (up 5.67%), First Custodian Fund India (up 5%), Jindal Capital (up 4.99%), GILADAFINS (up 4.97%), Times Guaranty (up 4.92%), Suchitra Finance & Trading Company (up 4.9%) and Gogia Capital Services (up 4.89%). Heavy selling was also witnessed in healthcare, banking, IT, auto, tech, power consumer durables, FMCG, capital goods, infrastructure, metal and PSU indices, which fell up to 3.65% today.